Thank you, Mr. Chair. I would like to thank the High Commissioner for Refugees, Mr. Guterres, for his comprehensive report and also the dedicated staff of UNHCR for their commitment and assistance to the world’s most vulnerable populations. Almost 40 years of war and crisis have forced millions of Afghans to seek safety and security away from their homes in unfamiliar slums, cities, and towns in and outside of the country. Generations of Afghans have been born and raised as refugees. Renewed conflict and security concerns have made this year particularly difficult for IDPs, refugees and returnees in Afghanistan. Currently, over three million Afghans are refugees or IDPs, making Afghan nationals one of the highest populations of displaced persons in the world. This year 124,000 persons were displaced, bringing the cumulative total of the internally displaced to over 700,000 persons. The government of Afghanistan is committed to securing long-term peace and stability in the country and recognizes that the voluntary return and sustainable reintegration of Afghan refugees and IDPs is central to this goal. President Ghani, the newly elected President of Afghanistan, has made this a central element of his reform agenda, and to this end he called upon Afghan refugees to return to Afghanistan to “rebuild the nation” in his inauguration address. The government of Afghanistan is dedicated to pursuing sustainable solutions for the repatriation of Afghan refugees who remain in exile. The Ministry of Refugees and Repatriations (MoRR) is the main government body responsible for rebuilding the lives of refugees and IDPs and providing them with reintegration support. Related programs include oversight of encashment centres to facilitate assistance, cash grants, basic health services, mine awareness training and briefings on how to enrol children in school and access legal aid. In addition, Afghanistan’s national policy on IDPs, endorsed by the government in 2013, provides a framework for the rights of IDPs as well as emergency response. The policy acknowledges the central responsibility of the government to prevent conditions leading to displacement, minimise unavoidable displacement, and mitigate and resolve its adverse effects without delay. 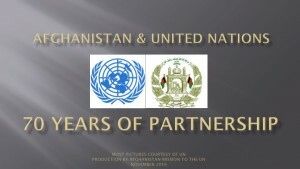 It also establishes the government of Afghanistan’s responsibility to provide emergency assistance, longer term support and effective protection of IDPs. The government commenced implementation of the policy in September of this year, with plans for further expansion in 2015. It is important to note that Afghanistan has one of the largest numbers of returnees in the world. 5.8 million refugees have returned voluntarily to Afghanistan since 2002, increasing the population of my country by 25 percent. In the first seven months of 2014, over 10,000 Afghan refugees voluntarily repatriated to Afghanistan. My government is working closely with UNHCR to continue to promote repatriation through the government’s Solutions Strategy for Afghan Refugees, which provides a framework to facilitate voluntary return and sustainable reintegration of returnees. 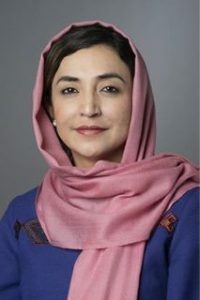 I would like to draw attention to the tremendous challenges faced by displaced persons in Afghanistan and around the world: they often lack access to justice and basic services such as healthcare and education and are particularly vulnerable to poverty, unemployment, disease, discrimination, violence, abuse and exploitation. Recognizing these vulnerabilities, I reiterate the obligations of host governments under international refugee law with respect to the protection of refugees, the principle of voluntary return and full, safe and unhindered access for humanitarian relief agencies to provide protection and assistance. It is critical that the rights of refugees and IDPs in both their country of origin and asylum are safeguarded and protected and that they enjoy the same standards of treatment as other nationals or foreign nationals in any given country. We are certain that the improvement of the security situation in Afghanistan will reduce the numbers of refugees and IDPs and will enable and incentivise them to return to their homes. In the meantime, my government remains committed to facilitating the voluntary, safe, dignified and sustainable return, rehabilitation and reintegration of displaced persons in Afghanistan, and we thank the UNHCR and the international community for its continued support in this regard. I would like to take this opportunity to express my government’s deep appreciation to those governments that continue to host Afghan refugees, in particular Pakistan and the Islamic Republic of Iran, acknowledging the huge burden they have so far shouldered in this regard.